100% printed, cut, and sewn in California. The most popular racing jersey in the Eliel lineup, the Rincon features a highly technical body that is snug and form fitting yet very breathable, with fantastic moisture wicking properties that keep riders dry even when cranking out the watts. Printed in a fantastic PDXTI color fade from black at the bibs to blue and grey, with the iconic REN Fingerprint graphic on the back pocket. Race Fit, Anatomic Cut for unrivaled comfort. Laser-cut precision construction for the highest quality garment. Lightweight mesh back upper provides maximum ventilation for hot summer rides. Breathable, lightweight leg gripper keeps shorts from creeping up. 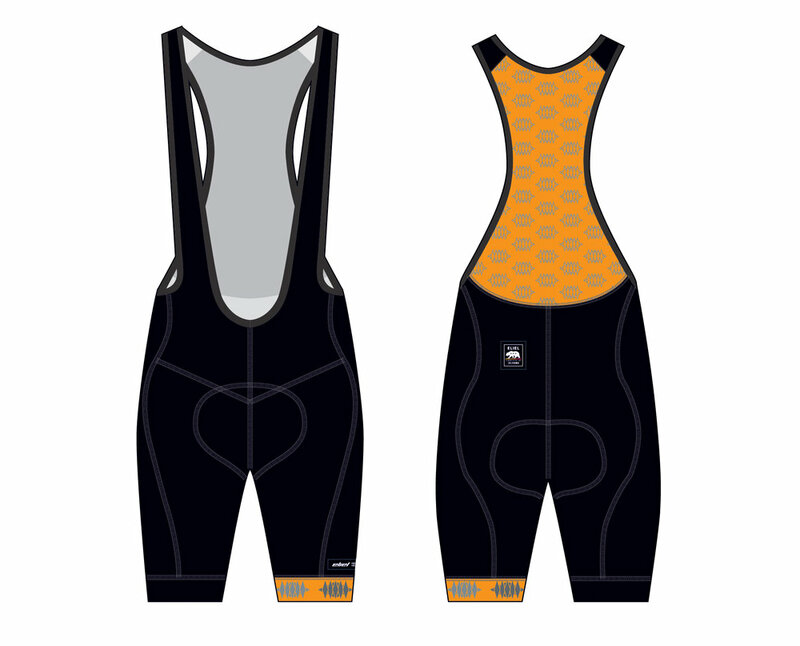 CyTech® Carbon Weave 6+ hour anti-bacterial, moisture wicking chamois. Named after the world famous California racing complex where PDXTI athlete and REN Brand Ambassador Seth Patla has won numerous SSCX titles at the Sea Otter Classic, the Laguna Seca race bib is Eliel Cycling’s blend of tradition and innovation. The Laguna Seca big short features the best Italian fabrics combined with a highly durable carbon chamois for a highly technical bottom that is built solid enough to hold up to the rigors of Elite level racing and stylish enough to look fantastic on a casual afternoon solo ride. Classic black with a color pop leg band in PDXTI Flo Orange that adds a dash of visibility.